UPDATE: Eastwood Design was selected in 2017 to update the NSPA website. The new site is fully responsive and easier to use improving on the old award winning site with more advanced search functionality and many other new modern advances. 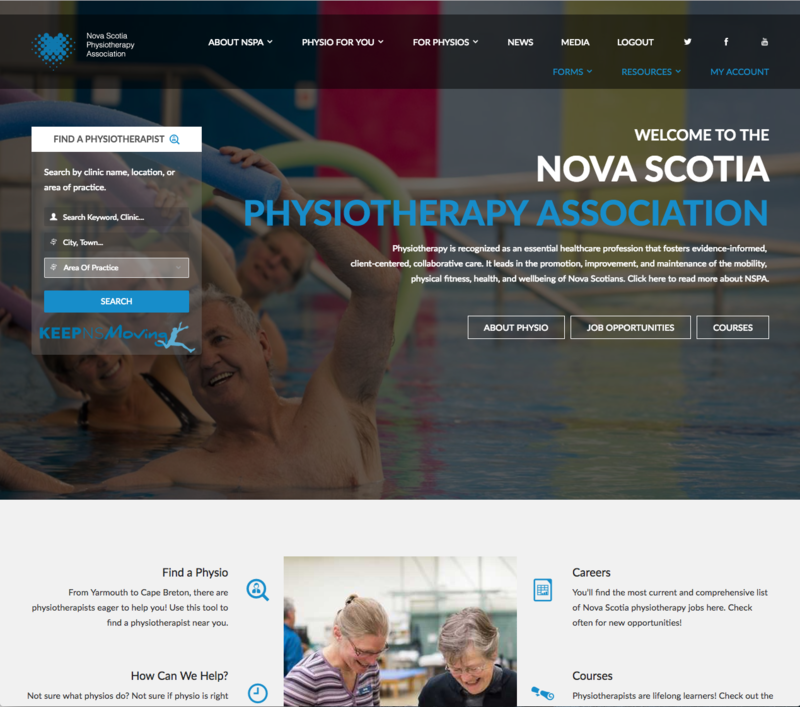 The Nova Scotia Branch of the Canadian Physiotherapy Association needed a new website. They needed a site that would serve the public and their members. The result was a award winning site that allows secure members only access, a career section, news, events and courses and a complete searchable database for all physiotherapists in Nova Scotia. The site is built with a content management system that allows the client complete control over all content for editting/publishing new information and manageing the members accounts.